Designed to fit over the footwear you're already wearing, these overshoes and overboots help shield against water or physical, chemical, or electrical hazards. 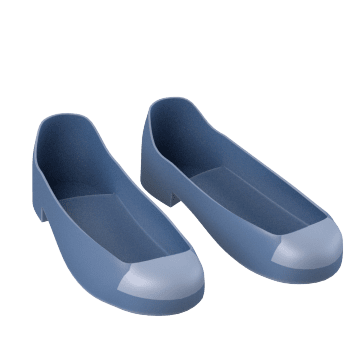 They are typically made of flexible materials such as rubber or PVC to stretch over footwear and conform for a snug fit; some styles attach with a hook-and-loop fastener. Some styles also have a slip-resistant tread. 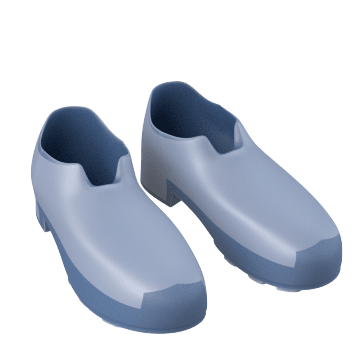 Add steel toe protection to your footwear by wearing these overshoes and overboots. They help guard your toes from impact and compression from falling and rolling objects. Improve your footing in wet, soapy, oily, dusty, and other slippery conditions. The soles of these overshoes are designed to grip onto surfaces to help prevent slips and falls. Put a waterproof barrier on work shoes and boots to keep them, and your feet, dry. 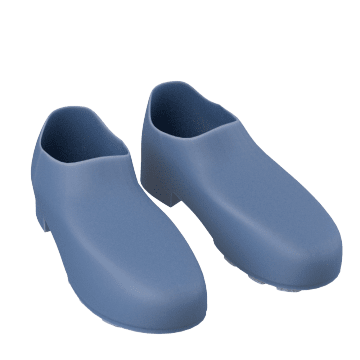 These thick-treaded overboots have a deep cleat with sharp edges for traction, and are easy to put on and take off thanks to their textured entry points and heel kick-off. They can be used for general industry, construction, food processing, and waste cleanup, among other applications. 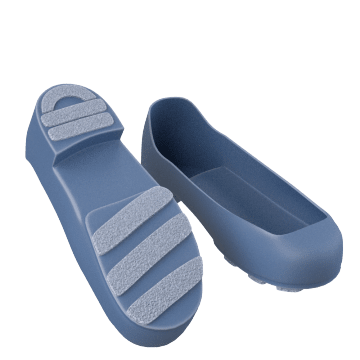 Help block nails, screws, wires, metal scraps, and other sharp debris from penetrating the soles of your feet by wearing these puncture-resistant overshoes and overboots. They have an embedded plate that provides protection, yet flexes for comfort while walking. Safeguard your footwear against chemical and oils with these overshoes and overboots. They are typically used in the petrochemical, pharmaceutical, and plastics industries as well in emergency response and site remediation settings. Made of rubber, these dielectric overshoes help protect against electrical hazards. 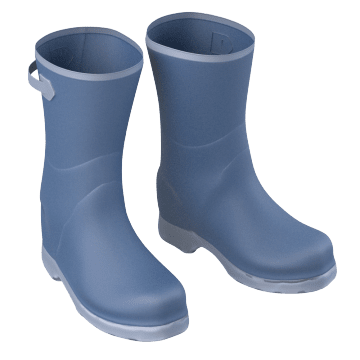 Commonly used when working near power lines or while grounding equipment, they may be worn over electrical hazard (EH) leather boots and shoes to provide an extra layer of electrical insulation. 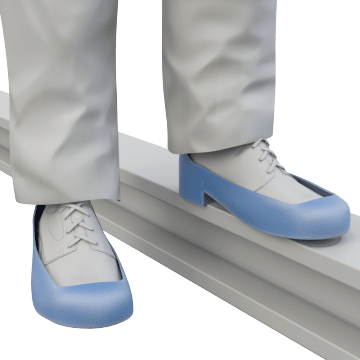 Designed for electronics production and other static- sensitive settings, these overshoes and overboots reduce static electricity that builds up on your body by conducting charges to ground. 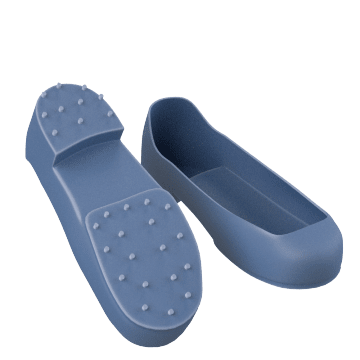 Studs or cleats on the bottoms of these overshoes dig into snow and ice to provide superior traction to help prevent slips and falls. For a secure fit, the uppers are made of materials that stay flexible in cold temperatures. Pull these overboots over footwear to add a waterproof, slip-resistant covering that protects shoes and flooring. They are disposable, making them ideal for visitors at your facility.